Cameron Woods, Senior Living Facility: Cameron Woods, Senior Living Facility - Angola, Indiana. Cameron Woods is Steuben County's only independent and assisted living community in addition to being the only not-for-profit retirement community in the area. Our Mission is to provide a senior living community designed to meet the changing needs of older adults. Cameron Woods accomplishes this by offering a lifestyle which sustains independence, honors individuality, provides security and promotes community relationships. Cameron Woods is a spacious residential community, conveniently located in a natural setting just north of Angola, offering assisted living alternatives. Designed to provide a sense of security while helping residents maintain their independence, Cameron Woods offers a choice of apartment styles, care levels and financial options to suit the individual needs of each resident. A wide range of additional services is also available. Cameron Woods is operated by caring individuals from the local community who encourage strong involvement of the residents and their families in decisions affecting themselves and the other residents of the community. 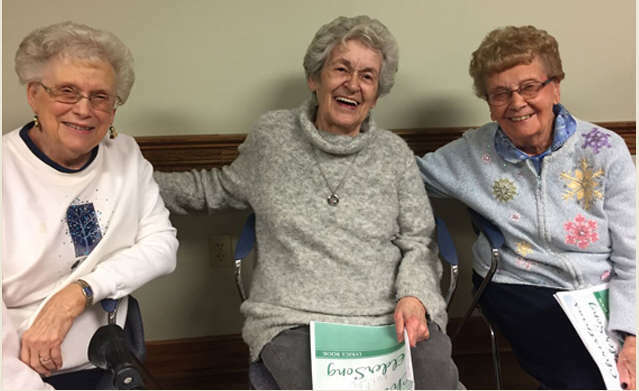 The dedicated staff combines a relaxed residential environment with a full menu of programs geared toward individuals and groups, as well as community activities in the Steuben County area. To make an appointment to visit Cameron Woods and see all it has to offer, or for more information about our apartments or about being placed on our waiting list, please contact Brad Noyes, Director, at (260) 624-2197 Extension 24. See our upcomming events and what's happening at Cameron Wood's. Show them you care and send cards online to loved ones.